almost two years ago, and also more than a year ago, when we were able to expand and add groups in three more languages. Last December we were very happy to announce the re-launch of two of our Help Forums in a new and cool look and feel. مرحبا! My name is Adel and I'll be monitoring the Arabic Webmaster Help Forum. I'm originally from Beirut, Lebanon. After finishing computer science studies, I joined Google, some 18 months ago. I am looking forward to a lot of questions regarding Arabic Google Search and of course ranking and indexing issues on your sites to come. I hope I'll see you there soon! Zdravím! I am Marcel, the Google Guide on the Czech/Slovak Webmaster Help Forum. I am originally from Slovakia. After graduating in New Media and Industrial Design, it took me some time and traveling around the globe before moving to Dublin and eventually joining Google some 3 years ago. Ever since, I've been working in different teams. 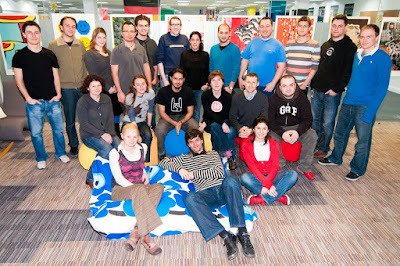 I was lucky to be part of the AdSense team where I participated in launching AdSense for Content for Czech and Slovak. Since my transition to Search Quality, I enjoy working on improving the quality of our natural search results in Czech, Slovak, and Polish. 你好! Hi from the Chinese Webmaster Help Forum team! The Chinese Webmaster Help Forum has received great support from webmasters since its launch in March 2008. In March 2009, the Chinese Webmaster Help Forum moved to a new system with many more user-friendly features for better information sharing. It has become a good platform for webmasters to share their knowledge of Google search and Webmaster Tools and to communicate with Google. A big thank you to everyone who has taken part in forum discussions! We hope to see both familiar faces and newcomers join in the Chinese Webmaster Help Forum! こんにちは! Hello from the Japanese Webmaster Help Forum team! Our names are Nao ( なお ), Kaede ( 楓 ), Haru ( ハル ), and Kyotaro. We are the four guides working in Google Search Quality for Japanese. We've just launched our forum on March 6th. As for our interests, we love eating and drinking! Between posting on the forum, we enjoy Google's excellent lunches and sweets a lot. After working, of course, we sometimes go out for a drink with our team members :) Kaede knows all the nice bars in Tokyo. Nao and Kyotaro love Sumo wrestling. We've watched two tournaments this year with Googlers from other locations. Haru, of course, loves watching comedies! We are really excited and happy to see many users joining our forum and sharing tips with each other. Looking forward to seeing you there! 안녕하세요! Hello everyone, my name is Joowon and I work in Google Search Quality for Korean. I was born in Germany and lived in Korea for a few years before moving to Hawaii, California and New York to attend high school and college. After all that traveling, I'm only fluent in Korean and English, with a bit of proficiency in Japanese. Some of the interests I've developed over the years are design, wine, cooking, yoga, and sustainability issues. Currently I'm back in Seoul and enjoying the dynamic atmosphere here, with lots of interesting people and great food. The Korean Webmaster Help Forum was launched only a few weeks ago, and I'm very much looking forward to talking to all of you. See you in the forum! Hello world! ;) I am Andrew and I am part of the Search Quality team in Seoul. I grew up in a port city in the southern part of Korea. Ironically, I don't eat seafood because it looks scary to me :( Many of my friends and colleagues love to make jokes about that, but I still don't eat any seafood yet. Playing drums, traveling and photography are my main interests. Currently I'm a drummer of "Spring Fingers", the first band of Google Korea, and we'll have our first concert at the end of April! I love playing around with web technologies/APIs and find it very exciting to exchange information and ideas on the web. The Korean Webmaster Help Forum was recently launched and I hope to see you there! If you're curious about our Webmaster Help Forums in other languages, please feel free to peak in. Here's a list of our currently monitored Webmaster Help Forums: Arabic, Chinese, Czech/Slovak, Dutch, Danish, English, Finnish, French, German, Hebrew, Hungarian, Italian, Japanese, Korean, Polish, Portuguese, Russian, Spanish, Swedish, and Turkish. Traditionally when we launch a new communication channel, we also give the shareholders a chance to introduce themselves. We did so when we opened webmaster help communities for European webmasters almost two years ago, and also more than a year ago, when we were able to expand and add groups in three more languages. Last December we were very happy to announce the re-launch of two of our Help Forums in a new and cool look and feel. At Google, we care deeply about getting increased coverage and freshness of the content we index. We are excited about open standards that help webmasters open up their content automatically to search engines, so users can find relevant content for their searches. These one-line sitelinks have many of the same benefits as the full two-column sitelinks, but on a smaller scale: they show users some relevant sub-pages in the site and give an idea of what the site is about. 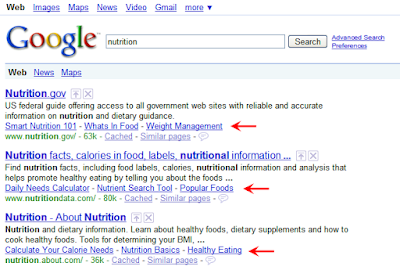 Comparing the sitelinks that appear for each result can even illustrate the difference between the sites. 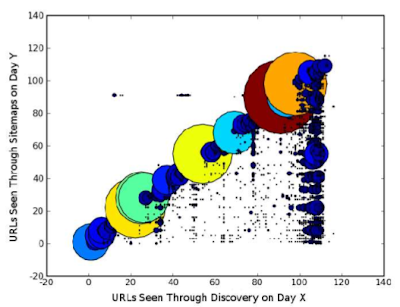 Just like regular sitelinks, one-line sitelinks are generated algorithmically and the decisions on when to show them and which links to display are entirely based on the expected benefit to users. For webmasters, this new feature means it's possible that your site will start showing sitelinks for a number of queries where it previously didn't. We expect this will increase the visibility of and traffic to your site, while also improving the experience of users. If, however, you absolutely would prefer not to have a particular sitelink show up, remember that you can always block a page from appearing as a sitelink for 90 days through Webmaster Tools. In fact, as part of our ongoing efforts at improving the Webmaster Tools experience, we're speeding up our response time to blocked pages, so you should see a blocked page get dropped as a sitelink even faster than before. If you need a quick refresher on how to use the sitelink blocking tool, take a look at this previous blog post. Currently you can only block sitelinks on your site's home page, but we're working on expanding this capability so you'll soon be able to remove them from any other page as well. We hope you find these improvements to sitelinks and Webmaster Tools helpful for both your site and your visitors!